December 15, 2017 - No Comments! Why virality and word of mouth? I would say because it’s a marketing channel based entirely on your product and it doesn’t rely specifically on any other channel. Then I would provide extra support to my argument by saying that word of mouth is the primary factor behind 20% to 50% of all purchasing decisions and also it’s 10x more effective than traditional advertising, as people are really sick and tired of being pushed to buy things. Paid advertising is almost dead. Relying on ‘rented’ space to acquire loyal customers, is a risky practice. Plus, by increasing virality, you decrease your CPA as more people get to use your product by keeping your marketing budget at the same level. 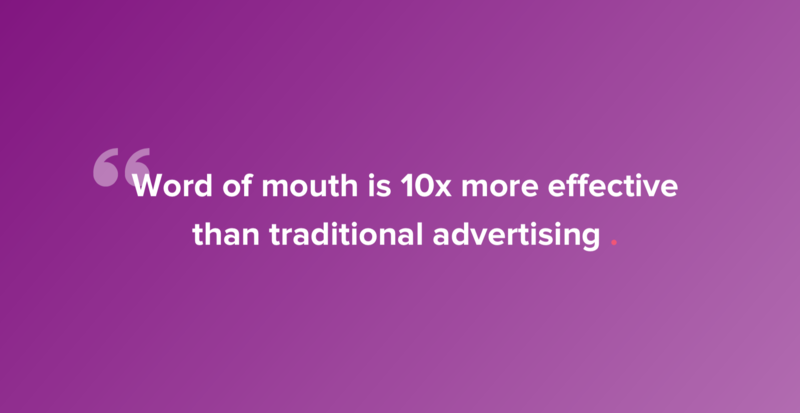 I bet that you hear a lot about the power of word of mouth. But what is it really? Word of mouth is a phenomenon where people love something so much, they just cannot stop boasting about it, until everyone gets to try it. And if anybody has something bad to say about it, then these passionate fans are able to go full berserk in order to protect it. It sounds stupid, but it happens. Have a great product, meaning that your product should solve a problem even for a small niche and actually work the way it’s supposed to. Keep your customer support in high priority. Humans love being treated well! Build communities! 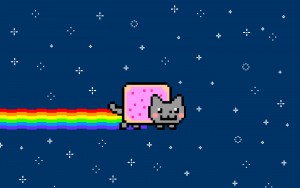 The big bang of the internet happened not because of products but because it offered the ability to people to finally belong somewhere. Building a community is vital, and if you ask me, it’s better to start building one for your niche even before having a product to sell. Love your customers. Help them in any way that you are able to! If you have a saas product, you can write a case study about them, or just support them by buying something they sell. Actually, about customer support, I have a funny story. During a marathon troubleshooting session, a support engineer of Rackspace heard the customer was hungry, so she ordered them a pizza! How can the customer resist to not talk about this? Another funny case is Shazam. Its users didn’t even have to talk about it! The power to create curiosity is more powerful than words as curiosity is integrated into our DNA. So, what’s the difference between virality and word of mouth? Virality is a phenomenon where people spread the word about an offering, in the context of using it, rather than loving it, which is what happens with word of mouth. In other words, virality has always to do with some sort of reward. Love, on the other hand, is unconditional. 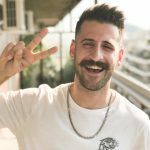 Kickstarter leverages user campaign for virality, as when a campaign creator spreads the word about his project, he helps Kickstarter reach higher user adoption. The same mindset applies to product hunt. When a hunter submits a product, both the hunter and maker spread the word about it, bringing in more people in the platform. Now, we know that both virality and network effects lead to growth but they are not the same by any means. Eventbrite, for example, uses virality but not network effect, as in order for the organizer to get more registrants for their event, they have to spread the word in other platforms and external networks. On the other hand, a platform like LinkedIn is designed to use network effects as you have to be a LinkedIn member in order to connect with other people through it. As you can understand, virality is a business design problem and not just a marketing strategy. You have to make it part of your business model in order for it to work. 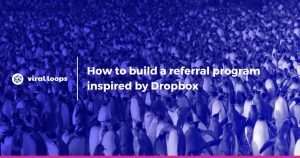 Now, there are 2 types of virality which I will explain and I’ll also give you some examples to get inspired by how you can get them to work for you. First, we have Pull Product Virality (PPV), product virality where existing users require people in their network to join to gain value out of a feature. Then, we have Distribution Product Virality (DPV), product virality where existing users spread awareness of a product to their network. The way that someone can measure virality is through the calculation of viral coefficient or the k-factor. So, if 1 in 5 of your users will successfully recruit a new user in their first month, your viral factor is 1/5 = 0.2, and our initial 5,000 users will recruit another 5,000 * 0.2 = 1,000 users in month #1. I will get you out of the trouble to look for industry benchmarks on that by saying that for a consumer internet product, a sustainable viral factor of 0.15 to 0.25 is good, 0.4 is great, and around 0.7 is outstanding. When our viral factor is less than 1, we acquire users at a decreasing rate until we grow no more. That isn't an outcome that anybody wants, so is there something we’re missing? Yes! We are missing all of the other channels with which you can acquire users like the Press, direct traffic, inbound marketing, paid advertising, SEM, SEO etc. You see it’s truly rare to attain a viral factor of more than 1. As I told you, you can measure virality by using the k-factor, but this is just an indicator of how your referral marketing works. In order to see how virality affects your overall growth, you have to take into consideration your amplification factor. The number of users acquired through non-viral channels by our ampliﬁcation factor will reveal the real growth of your user base. In case I messed you up, you can see the equation in the image above. Apart from your main marketing funnel, you can have multiple sub funnel, and your viral loop is no exception. 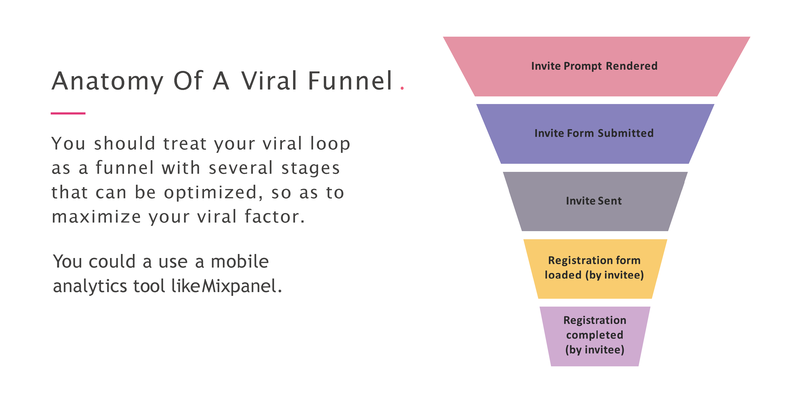 You should treat your viral loop as a funnel with several stages that can be optimized, so as to maximize your viral factor. Paid advertising is rented space. 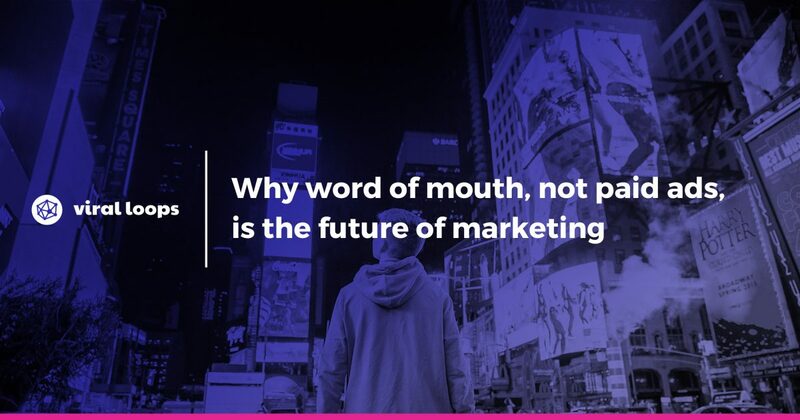 Virality and Word of mouth are not the same thing.